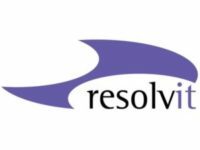 US-based Resolvit has been providing world-class staffing and consulting services for information technology leadership since 2002. Resolvit’s experience in modernizing technology platforms, enhancing revenues, streamlining operations, and providing world-class talent have made them an industry leader, and also provided them with a vast network of contacts to manage. Prior to 2014, Resolvit was using PCRecruiter for their ATS needs but the solution was clunky and not user-friendly. After looking at several tools, Resolvit leadership settled on Bullhorn as the perfect solution to suit their many needs. Bullhorn was implemented in April of 2014 and Julie’s team saw immediate improvements to their day-to-day operations. In September of 2014, when a rep at Bullhorn told Julie about Ebsta and how it could further improve the user experience, she knew they had to implement. “When we heard about what Ebsta could do, we tried it out, and never looked back,” says Julie. By immediately determining what candidates are already in Bullhorn, and automatically parsing those that aren’t, Ebsta has allowed the team at Resolvit to streamline sourcing processes and clean up their candidate data. “Ebsta helps us avoid duplicate entries, and shines a light on existing candidates within our vast database,” says one recruiter on Julie’s team. Julie is a strong advocate for Ebsta, stating that it saves hours in a day by stopping redundant activities, saving time on clicks, and all while improving database accuracy. Ebsta has led to more quality candidate uploads into a cleaner, less cluttered database. By saving 1+ hours a day across 12 recruiters and 3 sourcers, Resolvit has saved 75+ hours a week using Ebsta. These hours are much better spent doing additional sourcing, making calls, and making additional placements. Through the ease of sourcing with Ebsta, Resolvit has seen a significant increase in outgoing calls made by recruiters leading to an increase in placements and revenue.